SNOQUALMIE, Wash — Teenagers today have never known a world without the internet. According to a study by Common Sense Media, they spend an average of nine hours a day online. Unlike their parents and grandparents, they are growing up sharing their lives on social media. That has many worried about their development, communication, social skills and long-term happiness. “Social media is definitely impacting the teens that I see on a regular basis,” Dr. Yolanda Evans said. As a specialist in kids health at Seattle Children’s Hospital, Evans points to several studies that show high use of social media in kids increases the risk of anxiety, loneliness, depression and low self-esteem. 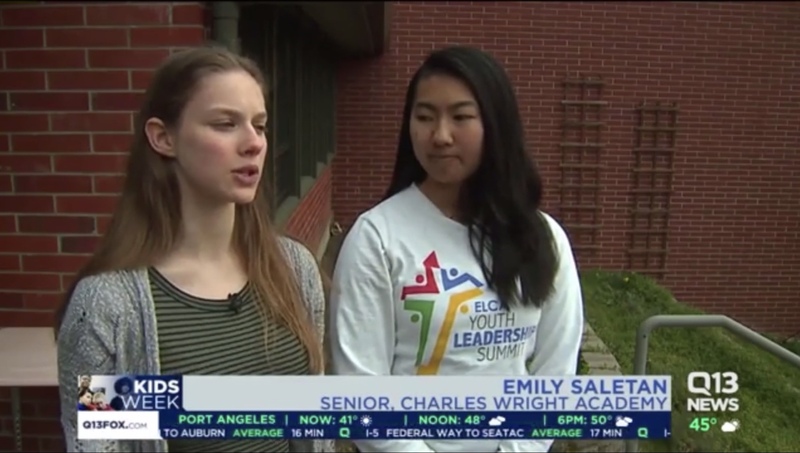 Q13 News spoke recently with a group of high schoolers from Snoqualmie about their usage of social media. They admitted to spending several hours a day on their phones and agreed there are a number of downsides that come along with the convenience of technology. “Recently there was lots of political posts and you could see the climate of the entire school get more stressful,” Mount Si High School senior Chirag Bedullapalli said. It adds another element to navigating the already awkward hallways of high school. With social media, comes a pressure on kids that previous generations never had to deal with. All of the kids said they feel pressure to check their phones and social media accounts throughout the day to keep up with the posts of their peers. Experts say too often, kids look to social media and the likes they receive for validation. But what’s posted online is often carefully curated like a highlight reel and not a representation of real life. Holly Gerla teaches digital citizenship at Charles Wright Academy in Tacoma, a required class for ninth graders, and she doesn’t sugarcoat the reality to her students. The goal is to get kids thinking about more than just what they post, and instead how it is affecting them, their communication, reputation, relationships and well-being. Some students at Charles Wright took it upon themselves to go a step further and ban cellphones at lunch. The feedback has been surprisingly positive. Something experts say is important, finding a balance between the world online and in person. A future where social media is just part of being social.